A.J. 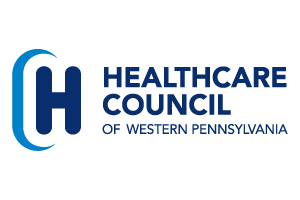 Harper, president of Healthcare Council of Western Pennsylvania, received the American College of Healthcare Executives (ACHE) Senior-Level Healthcare Executive Regent’s Award at the 2018 Annual Event held by the ACHE Western Pennsylvania chapter on December 6, 2018 at Phipps Conservatory in Pittsburgh, Pennsylvania. The award was bestowed on him by Jean Tauber, Regent, and Natalie Bulger, immediate past-president of the ACHE western Pennsylvania chapter. Members are evaluated on leadership ability; innovative and creative management; executive capability in developing their own organization promoting its growth and stature in the community; contributions to the development of others in the healthcare profession; leadership in local, state or provincial hospital and health association activities; participation in civic/community activities and projects; participation in ACHE activities; and interest in assisting ACHE in achieving its objectives. 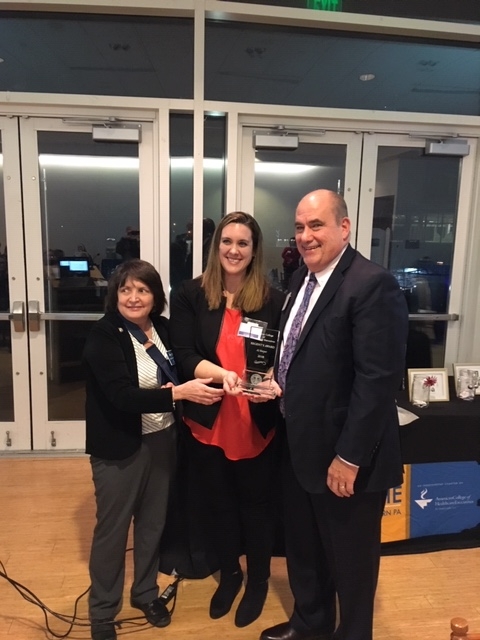 From left to right: Jean Tauber, ACHE Regent; and Natalie Bulger immediate past-president of the ACHE Western Pennsylvania chapter; present A.J. Harper, president of Healthcare Council, with the ACHE Senior-Level Healthcare Regent’s Award.